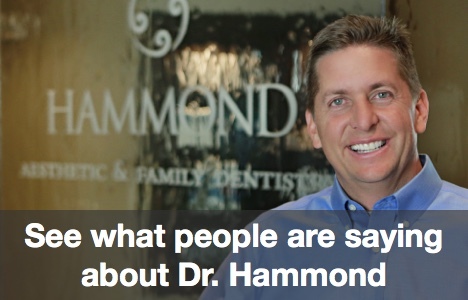 Perfect smiles created at Hammond Aesthetic & General Dentistry somtimes require dental crowns and crown lengthening. Crown lengthening surgery is a safe and effective procedure that exposes more of the visible part of the tooth. Some clients undergo crown lengthening surgery using a dental laser at Hammond Aesthetic & General Dentistry to alter their gummy smile. Sometimes, a client needs crown lengthening because of a tooth fracture. When a tooth breaks at the gum line or a crown is fractured, crown lengthening makes tooth structure accessible for the necessary restoration. Digital imaging is one of the technological tools that helps advanced family dental professionals perform crown lengthening and other cosmetic dentistry procedures. When a cosmetic dentist has a highly-detailed, 3-D image of tooth and bone structure, he/she is able to achieve the precision necessary to design smiles to the patient’s exact specifications. If you are seeking a dental smile makeover and live in the Orem or Provo areas, schedule a smile consultation by calling 801-374-0070. We are conveniently located at 3575 North 100 East, Suite 200 in Provo. 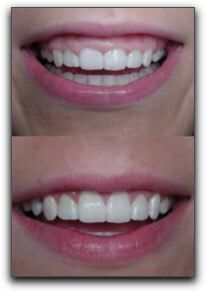 When you come in, we can show you photos of Utah cosmetic dentistry clients who are enjoying their dazzling smile that was created by the skilled laser dentistry smile artists at Hammond Aesthetic & General Dentistry.